Article contributed by D. Kime. Bow hunting is a commitment to a discipline that attracts a certain personality. We sit alone for hours in a tree stand, or maybe we hike deep and far for miles at elevation. We commit to an idea and stress over the most idiosyncratic details that ultimately are forgotten when we need them most. We obsess and debate over concepts of modern technologies, somehow neglecting that for tens of thousands of year’s animals had fallen victim to much more primitive techniques. Hunting with a bow may only be a viable option for several months a year, while time with one spent in hand never appears to end. We bow hunters devote ourselves to a methodology arguably as ancient as hunting itself, understanding that success rates hover in the lowest percentile of all harvest groups. 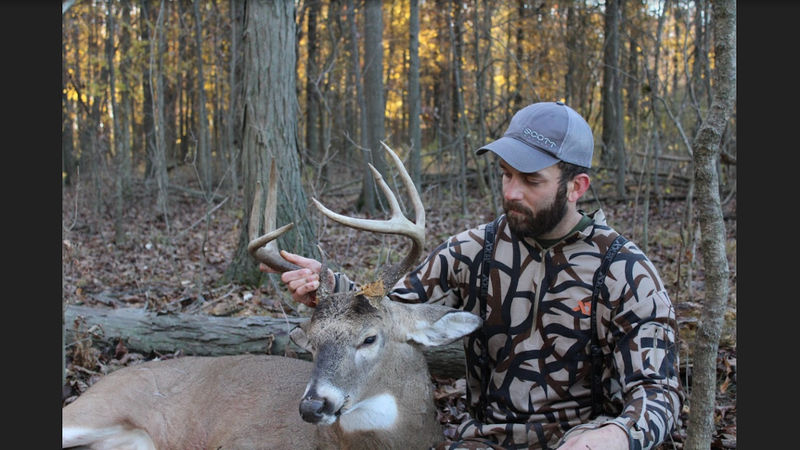 We find ourselves accepting of the fact that wound loss rates are 1:5 of every deer harvested with archery tackle. Modern day bow hunters take a technology as old as time and apply modern technologies, materials, and techniques to it ultimately moving further away from the Heritage so many of them attempt to pay homage to. Don’t get me wrong archery is my life and all that I am and do revolves in one way around this sport but I am also aware of the dichotomies at hand. Bow hunting came into my life at a time when I needed an outlet. I was immediately infatuated with the level of mindfulness required to execute a shot with proper form and the technical prowess that is involved in tuning and setting up equipment. Bow hunting and tournament archery soon became my life and has sunk its claws into my soul ever since. As hunters we often hear a mixed bag of rationale for defending our passions. Somewhere along the line of discussion we begin to hear words like Conservation, Heritage, and Sustenance. However, like I’m assuming most of you, I always was left feeling like while those are all great reasons to hunt but none of which truly encompass my reasoning for hunting. Bow hunting, for me, contains every rationale for why I choose to hunt. It is a commitment to a discipline that requires immense amounts of practice, technical ability, mindfulness, physicality, strategy, and time spent in the field, conservation efforts, paying homage to the heritage of hunting, and the most rewarding challenges I have had the pleasure of participating in. Over the next few articles I am going to explain to you from start to finish the items you need to know to get started in archery and attempt to shorten the learning curve. Even if you are disinterested in hunting as a whole, tournament archery is a rewarding skill that has created some of the greatest friendships and memories I could have hoped to develop. Everything you need to know from styles of bows, to sights, releases, tuning techniques, and arrow systems will be covered in a top level manner to help gain some efficacy within the sport. Again, bow hunting and archery are not for all personality types. They will require more time, effort, and patience than almost all other forms of hunting ventures but the reward associated with the method of harvest is undeniable. Daykota grew up in rural Northwest Ohio. He was fortunate to be raised by a family who saw the value in being outdoors. His passion for hunting, fishing, and shooting sports was evident from an early age and manifested itself in treeing coonhounds, running rabbits on fence rows, and hunting whitetails during their respective seasons. These days bow hunting and tournament archery dictates most of his free time.